Today new smoking laws go into effect that will make it even more difficult to light up in San Jose. 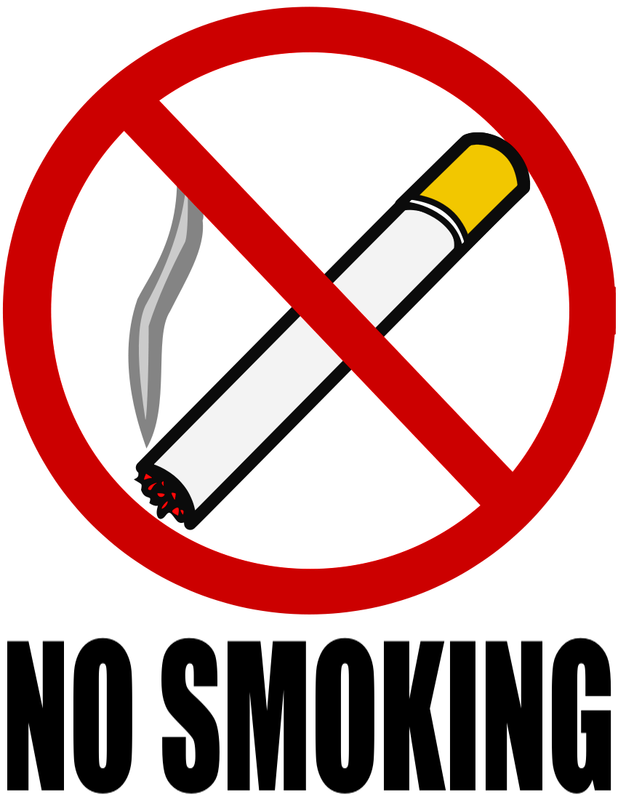 Already there is a ban on smoking inside restaurants, bars, public buildings, city parks, within 25 feet to the entrance of a city library or community center, and in outdoor seating areas of sports centers. Today's expansion also bans smoking in outdoor areas of restaurants and bars (pretty much most of Santana Row), in outdoor areas where people wait for services (Bus stops, ticket lines, ATMs, Food Trucks, etc. ), and in outdoor common areas of condos, apartments, and mobile home parks. Usually, I am against the government over-reaching on people's right to choose how they live their lives, but the exception is when those choices hurt others. Every time someone lights up a cigarette around other people, they are taking away their right to breath in clear air and are instead forcing cancer-causing pollutants into their lungs whether they like it or not. I see nothing wrong with smoking at home or with your friends, but I never got smoking in public. When I went to London and Paris last year, I have to say the the crazy amount of cigarette smoke everywhere really killed the ambiance on some of the most beautiful streets and cafes I have seen. I think it's a smart move for San Jose and will hopefully make Downtown more attractive to families by removing smoking from a huge chunk of the streets. I am all for clean air, and as a smoker, I actively try to stay at a good distance from people who my smoking may affect. That being said, I don't know how fair it is for bans like this for smokers. I realize its not the most appealing habit, but, we're outside. Smoking is already banned indoors (which I get) so if a person does not want to be affected by the smoke, all they have to do is go INSIDE. And before anyone says, well non-smokers should be able to enjoy the outdoors too, they should also be responsible for everything that comes with eating outside. Inhaling car fumes is dangerous as well, but no one says anything about the parade line of cars no more than 5 feet from some of the eating areas of Santana Row pushing exhaust onto their food and into their lungs. A nice outside meal can be ruined for a non-smoker by a smoker half a block away. My young son's asthma has been set off numerous by smoke from a "good distance" away. and that's exactly why there's always the option to eat indoors where smoking has been banned for quite some time and you have no fears of inhaling anything that comes with being outdoors. If someone is waiting for public transportation, using an ATM, or waiting in line for a food truck, they can't exactly choose to go inside. Also, the pollution from cigarrette smoke is far worse and more noticeable than cars (http://www.webmd.com/lung/news/20040823/smoking-worse-than-exhaust-for-air-pollution). Newer cars, hybrids, and electrics are also going to reduce that type of pollution substantially over the next decade. well than, they can DEAL with it. people deal with things all the time, don't like the way it smells? oh well. tough. have asthma? let the person know who is smoking, and tell them Kindly that you have asthma....Before I stand in line...You know, like a adult would. Not stand there and throw a hissy fit, if anything it will make me light up another cigarette just to annoy you. There is bans in public parks, yet you can still light up a cigarette alllllllllll you want. P.s, I may be a smoker and all, but Ya gotta learn how to embrace the smell, it really doesn't smell bad if you try to enjoy the scent, and who knows. maybe I am smoking a additive free cig. and most people who hate smoking, have the worst breath ever. where as no one ever notices I smoke, whether I ask them if I smell like it or not...Ever. That is a narcissistic way of looking at things... others can just deal with it. Yes, it smells like crap (and you probably smell like crap regardless of what people tell you) but that is the least significant outcome of receiving second hand smoke. You are negatively impacting the health of all those around you and fortunately you are on the losing side of this battle. It will get progressively more difficult to smoke where you can hurt other people in San Jose (and Silicon Valley) as time goes on. I love that, but really, who is going to enforce that on Santa Clara and 1st?? I love how blind people are for "environmental" issues. The amount of pollutants in cigars and cigarettes are a miniscule amount in comparison to vehicle emissions. Especially in comparison to heavy transit (buses) vehicles. The particulate matter released by 1 bus, is way more dangerous then an entire pack of cigarettes. Yes, even with the new emissions control equipment in place on said vehicles. But civilization still demands, More Buses, Less Waiting!!! This is yet another step for the enviro freaks, in controlling peoples lives. Give it 10 years and they'll know exactly how little of a difference it will make. I smell cigarette smoke and instantly I get a migraine. I don't have a choice when someone walks by my bedroom window blowing cigarette smoke everywhere or when they smoke and enter my work place. It stinks and my sons smoke. To me I should have the right to stay healthy. Smoking kills 400,000 woman and children a year breathing in second hand smoke. How foolish smokers are. Not to mention it is a defilement of the body which is wrong in the eyes of God if anyone has any kind of spiritual concious. And bringing in someones breath or body order wont KILL YOU.. How idiotic that sounds!!! Next they will put a ban on crying babies. No crying within 25 feet of another person. How far are we going to let them control our lives... Oh, and I am a non-smoker... Hitler here we come.... But then again, I do get an earache every time someone's child starts screaming... ( having my own kids who are grown now, I do feel for the parents). I bet those fines would be able to bring our city police force back to a level that will be able to enforce all of these new bans!! I'm sorry, but crying babies don't give other children cancer. Exactly, So now I can try to get them banned. That's what someone complaining about smoking sounds like. I'm sorry, but there is a big difference between something that is annoying like a crying baby versus something that causes serious health issues to others around you without their consent. That is exactly what I was going to say. First of all rational thinking has to be a factor and the love for other human beings. I would hate to be the person who causes a death to their own child or parent even a spouse. Come on now... What is wrong the grown up people. Use your God given common sense people. The stupid cigarette has 2,800 chemicals that killl our loved ones by breathing it in. I was married to a man for seventeen years who smoked. I am furious that I was exposed to that junk and my three sons. How selfish of him to jeopardize our health! There is no doubt that the smoke from cigarettes is also harmful for people who are around you but that doesn't mean that government keeps on imposing bans in every place, this is a free country i guess. I have seen many people using electronic cigarettes in places where smoking ban, smokers can switch to this alternative so that they don't have to face these bans. Second hand smoke is more dangerous specially for persons who have asthma, i hate such people who don't care about others and starts smoking in public places. How is smelling it, more dangerous than smoking it? after all, we absorbed almost all the chemicals. The smoke is unflitered and has more cancer causing elements. This is especially dangerous for kids.